Congrats To This Week's OTB Contest Winner Debra Hettig! OTB Plasma! Congratulations to this week's OTB contest winner Debra Hettig of Georgetown, TX! Debra won her choice of any stock OTB ball, and she chose the OTB Plasma! We're giving away one of these every week so be sure to enter! You'll have to re-enter every week, so if you're persistent about it you're sure to win one! 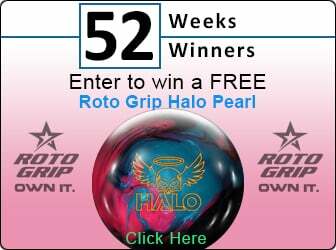 Who wouldn't want a $170 bowlingball for FREE? !